(1) You have to turn off, or black out the LCD monitor on the back of your camera. You can’t see the shots after you take them. (2) You can only shoot 24 or 36 shots total (more on that in a minute). (3) You can’t import the photos or even look at them until 24 hours AFTER you shoot them. (4) You have to make a print (we didn’t always have computer screens to display our work. If we wanted to see it, we made a print. It was the moment when your image became “real.”) If you have your own printer, make a good sized print. If you don’t, and you live in the U.S., go to MPIX.com, set up an account (it takes all of 90 seconds), and upload your best image from your roll of 24 or 36. Choose a 16×20″ print on E-Surface paper. You’re gonna love the way they print your image. If by some miracle, you just don’t like the printing job MPIX did (I’m not talking about the quality of your photo, but of the printing itself), then send me an email at skelby@photoshopuser.com with MPIX Print in the subject line, and I will refund the cost of the 16×20″ print myself (that’s right—not MPIX. Me!). Of course, I wouldn’t offer this if I wasn’t darn sure you’re going to love your print, and making a print, or having a print made, is a crucial part of this process (by the way—-my refund offer is only good for new customers. If you’re already an MPIX customer, you know this stuff is good, or you still wouldn’t be a customer, right? Right!). If you live outside the U.S., send your best image to a local photo lab, but don’t just get a regular-sized print. Get a large print (at least 11×14 size) but hopefully larger. You’ll be glad you did. (5) Film wasn’t free back then. Processing cost even more. But you don’t have to buy film. I’ve got a better idea: We checked, and to by a roll of 24 400 ISO film, and have it processed at WalMart (cheap!) is $9.88, or around $13 for a roll of 36 (NOTE: Weird technicality; apparently, this roll of 24 actually lets you shoot 27 images total, so you can shoot 27 if you feel you need to). Now, since you don’t actually have to buy film or processing, what I’m hoping is that you’ll follow this link, which leads you to a page where you can donate what it would have cost you for film and processing to the Springs of Hope Orphanage in Kenya (the same one you guys, the readers of this blog, help build from an empty plot of land, into a wonderful up and running orphanage that houses, feeds, and cares for some very special kids). I’m using this to help raise just over $9, 700 and some change so the orphanage can buy an adjacent piece of land, which they want to convert into a farm so the orphanage can grow much of their own food and become more self-sustaining. So, although this fifth step is optional, it’s the one that will make you feel the very best out of all of this. You can make your donations using Paypal (and I really encourage to take this final step. I promise you, you’ll feel better inside than you’ll ever feel from buying real film and processing). (6) There is no six, but you do get extra credit if you: (a) pick one ISO at the very beginning and don’t change it for all 24/36 shots, and (b) if you don’t do any post-processing of the images in Photoshop or Lightroom. Just look at them, but don’t touch. Remember: this is not a contest or a competition. There are no prizes. But every one that participates wins on some level because it will stretch you, and your creativity, and it will really make you think before you press that shutter button. Plus, I know many of you will send 10 or so bucks to help the kids, and that’s a big win any way you look at it. I have put up a flickr group so you can post your images on Sunday (you’re supposed to do your shoot this weekend, but remember—-don’t look at your images for 24 hours. Not a peek! I’m really interested to hear your experience with all this, and how you feel about shooting in a somewhat non-digital way with your digital camera. It makes you really appreciate what we have now in digital, doesn’t it. Anyway, this is the first of my monthly challenges—-ones we’ll do together (I’m doing this one Saturday along with you. Don’t be expecting much, though. This is harder than you think). I’ve got a lot of fun ones coming up, and hopefully it’ll get a lot of photographers trying new things, and new techniques they’ve never done before, which I think is a really fun, creative thing. Previous PostSorry for the delay…. Great challenge Scott. I will attempt this over the Holiday weekend. Sounds like fun! I’m in a bit of a creative slump at the moment, so this could be just the medicine I need! I look forward to seeing everyone’s results and hope that you can meet the target for the orphanage. Perhaps you could have even take it a step further and specified that you turn off your camera’s auto settings. Not that Auto modes didn’t exist in film cameras, but that could be a neat twist. Or how about taking it even further and see how old school we can really get by additionally getting everyone to take shots with the same fixed exposure settings; f/stop, aperture and ISO all pre-determined by Scott? That’ll really make things even more interesting…. You could’ve made it extra hard and could’ve had a rule where everybody would’ve had to put their camera into M mode and shoot like that, fully manualy. That would’ve made the whole thing even more exciting. Haha. We actually did talk about that, but they did have some cameras with an Auto mode back then, so we decided to leave them in. Might be first time P has been used on my camera! So if we prefer to use “M”, we stick with the same ISO, but are allowed to change the other settings? Sounds fun! Thanks for the great challenge AND the fundraiser. That alone makes it worthwhile for me! for me this would be an easy challenge but that’s only because I don’t even know how to use my camera yet *LOL*. So, i go on automatic all the time. But why oh why do I have to be busy all day tomorrow. this would have been a lot of fun. There. Trevor just beat me to it with the idea of the full manual controls :) But I was sure I’m not going to be the only one to have this idea. Great challenge! I’m always trying to get some restrains on the apparent “no rules” “no limits” that digital gives us. I cant wait it get started. Im going to stick to using a 50mm 1.8 manual focus only, and have a go at using the manual mode. I have an even better idea. I was going to do this last week, but had two shoots in one day, so I just ran out of the house with my normal rig, but this weekend I’m going to try to use actual film. That’s right, all those emulations you are asking your readers to maintain, I’ll just go ahead and make them reality. Though I haven’t worked out how to get the photos posted to Flickr within the weekend. Hmmm. I’ve been meaning to use up my film for a little while, now. Should be fun. Sounds like the right thing to kickstart my weekend. Standing in line for Scott’s seminar and used Cloud Browser to listen to video. I’m in! How about shooting only in jpeg? No post-processing? I’m not sure why so many people seem so afraid of using manual mode however, manual mode is something that a lot of us out here use almost ALL of the time, you simply have to put trust in yourself and in your camera’s meter. SK, fantastic idea! Who is the creative genious that thought up this one? I cant get the video to play to, just an FYI, I click and it does nothing. That said I was smart enough to read the text! All better now, video wise. Why simply not buy fresh roll of film and find old film-camera to go old school? I used to shoot film…. A lot of film. I actually still have a couple of film cameras and a brick of film somewhere. Very Excited to do this! Always great to have parameters to work within to create more of a challenge than just looking for a subject. this is fun. i will shoot using my dslr but put my OM Olympus 50mm/f1.8 on so i am manual focus as well. i will print my own shot and send a donation to the orphanage. what is the link to the flickr group? I’m definately gonna try this tommorow, and I’m very curious to see what the results will look like! Thanks for inspiration to do something totally different with the camera. I also like the idea of using the prime lens on manual focus. Glad to help out the kids!! This sounds like a lot of fun. I haven’t shot film in such a long time. I know im just a young punk, but I started shooting film too, sometimes i still brush the dust off the old film cameras, and usually put them right back on the shelf but without dust, but still. ;) this should be fun! Cool! I’m in. Will shoot this weekend, but already sent my $13 to the worthy cause. Scott, I’ve said it before and I’ll say it again – YOU ROCK! What a blessing you are in SOOO many ways! Hec, step it up a notch — set WB to Auto, JPEG & shoot manual & use manual focus… Sounds like a blast! Great challenge. How ’bout kicking it up another notch. (Though you might not want to). I would love to see people’s “contact sheets” of their shots. Back in the day, that was the first chance you got to see how things turned out, and they showed you what worked and what didn’t. Check out this link to Korda’s famous iconic shot of Che on a contact sheet. you can download a contact sheet template and digitally recreate one. Any takers? Fantastic Idea! That was the great thing about film – the anticipation of seeing the prints. Gee, even going to pick them up was fun! I LOVE this challenge – I just for my first full frame camera yesterday (went from the Rebel XSi to 50D) – remember what a HUGE leap that was everyone? ACK! I was just telling someone yesterday MY GOAL?? start shooting BETTER shots and wean myself off my crutch, LightRoom! Count me in for $13 for the kids!! 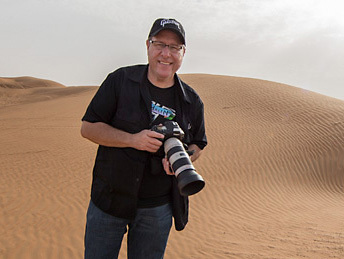 Thom Hogan has a similar focus on photography set of challenges on his blog/site http://www.bythom.com right now. Thinking about my old Nikon film cameras, yes, there was a lot more “I hope that came out” anxiety. I’m surprised that you like MPIX so much. I’ve done test prints a few times from MPIX and MPIX Pro and Millers and every time I cannot believe how bad they come out in terms of color – yellow tinged, strange contrast, banded vignette. I process with a xRite calibrated Apple Cinema Display with controlled solux lighting in my “digital darkroom” and my images are spot on from ProDPI (it doesn’t hurt that they send candy with the prints too) and WHCC (although WH is always a bit deeper on the black point and tinge more saturated than display); even Aperture’s printing service gets pretty close (close to WHCC in fact). But MPIX is just so far off I find the to be unusable. Now MPIX has told me in the past that my issue is that I need to set my white point down to 5000 (ProDPI and WHCC recommend around 6500). Doing that to a display will give it that “sat in a smokers home for 20 years” look and the problem that I find is that the rest of the world is not calibrated for anything like a 5000 white point, so web images are off if the printed images are closer, which again is a point favoring ProDPI and WHCC – you process at one white point and it looks great on the web and for the print. Not to go off to much on the MPIX/Millers folks, I suppose I’ve just verbalized my head scratch. Are we gonna get new assignments every time you do an episode of Photofocus? I really like this. I started out with film, and always loved the “magic” that awaited when my “vision” was printed (more often than not 35 pictures out of 36 were crap, but then that’s just my poor skills). And I have actually missed that sensation on digital. I would say, though, that this “old school photo challenge” is best pulled off in JPEG at a selected setting (neutral, monochrome, or whichever you want) because RAW will look kind of dull if left unprocessed before print. I’m so in! This is gonna be sooooo fun. And beneficial for EVERYONE! What is this “film” thing that you speak of? A friend of mine Robert Trawick of okc started getting me into digital in Jan 10 yes five months ago. those who have never shoot film are in for the hock of their lives. you first had to believe you could get the shoot and next you had to have the experience to trust your knowledge and your equipment. ishoot my last wedding on film 8 years ago because it had gotten to expenive. i love my nikon that Robert inssisted i start using. lot more to this story. i will have difficulty with this profect. this would make agood episode. I wrestled a f-3 tornado on may 10th in okc van is toast and trigger hand (RIGHT)is broke but i’m a PHOTOGRAPHER. and i will get the shoot. the episode “how do Photograpers with sudden ijuries continue to shoot with all the gadgets it’s still not easy to go so-lo. oh by the way the vedio may be overloaded it ha never downloaded for me. I also had problems seeing this video on my mac (Safari & Firefox)… turns out I had to reinstall the Adobe Flash Player and now it pops right up. But this Old School Photographer used to shoot 20 exposure Kodachrome II. Any plans for the Adobe Photoshop CS5 for Digital Photographers to be spiral bound again? I’ve already made my donation this morning. Good luck in raising the money you need to get the land. ps. I going through D-Town TV withdrawals this week. I left a single $20 donation (about the cost of a 20 exposure Kodachrome mailer). Please note there are plenty of ways to donate including a few monthly donations as well as a single donation using Pay Pal. Choose the method and frequency that you intended to make. I’m in and spreading the word . . . I still have my old Nikon N90s body, and I vividly remember the days of film (and the anticipation of seeing if my vision became reality in the photos). Great idea Scott. You certainly have a generous spirit and I love how you think of ways to get your readers involved. A win-win for all of us. Really cool idea. Takes me back to high school photography class when we were required to use Black and White film (Tri-X only), manual mode, 50mm lens, and manual focus. Those of us that were privileged both technically and artistically could do an “independent study” in photography and the teacher would let us open up a bit – TMax, Plus-X, Color Slide, and zoom lenses! Scott, I think for MPIX to participate in this, they should really give some sort of a discount, don’t you think? The great “fine print” photographers spoke of previsualizing a photograph before snapping the shutter. I remember the late Fred Picker’s prescription for learning to be a competent photographer: 1) use a view camera, because the setup is so involved it forces you to slow down enough to carefully look at what you’re trying to photograph. 2) shoot only Polaroid the first year for feedback. (That was our analog to a digital camera’s display.) and 3) buy just a few sheets of Tri-X, because over the course of a year you just may stumble across three or four things actually worth taking a photograph of. That was the camera part. The print-making that followed was another art altogether. And here’s another one who still shoots film every now and then. I try to keep my F100 near me at all times, loaded and ready to shoot (trying out Ektar at the moment) because I do love the thrill of going “back to basics”. Okay, using the F100 is not exactly back to basics, but I hope you know what I mean. Nikon D300, 50mm f/1.8, ISO1600, pre-set the internet high-contrast b/w mode. Worked for me that night. I was thinking “JPEG only” as Al stated. No post whatsoever. That could be interesting and challenging as well. Very cool idea. Thank you for the inspiration to challenge myself this weekend. I do still shoot film on occasion but I have never thought of using those practices in digital. I am a creature to the LCD preview button. It is my curse. LOL. What do people who are working with P&S cameras do, since they can’t cover the lcd? Hmmm….since I have about 20 film cameras and one DSLR maybe I’ll dig out one of the old ones. You know what the best part is? I’ll come home from the Mountian Man Rendezvous with 36 images, not 3600 images. Thanks Scott! you just saved me ten hours and an external hard drive! for those with point and shoots that don’t have an optical viewfinder, you should still be able to deactivate “image review”. that way the picture you just took won’t pop up automatically on the LCD. What a great idea. I love it. I am actually going to do this assignment old school x2. I have some film and a Nikon n90 that I haven’t used for years. I am going to carry both bodies and take the picture twice. I think I have some film laying around too. Been a long time since I used it and it needs to get shot anyhow. I will have to scan the print after it is done so I can put it up on Flikr. I already donated the $13 because I think the rolls of film I have are all 36 and it was better to donate more. I’m in the mood for some film, so I’m going to take up both; doing one digital and one film. Hmm, I might just have to buy two rolls, one B&W and one color. I can decide later which one I want to use. The hardest part of this would be any OCF. I usually chimp my flash exposure, (don’t have a meter) so if I do it, I think I’d have to do it natural light, or do the math and find out how good those guide numbers really are. Anyone up for some panning technique? I’m actually thinking of going down to the airport… we will see. Are there bonus points if we make a contact sheet as well? I don’t get the JPEG only – no post processing because I’m in the middle of a black & white film class shooting Tri-X and despite what one captures on film, there are many times that simply because of the lighting, one may add some magenta to add some contrast. Despite “no post processing” through Lightroom or Aperture, there is “post processing” taking effect through jpegs. And there are adjustments on cameras for it. I will say shooting film has made me reevaluate and really use the time prior to pressing the shutter, but like Joe points out, without a meter, it’s hard to tell what you get with off camera flash. I did this at the beginning of the year, it’s a challenging especially at night. I further restricted myself by using a single lens as a walkabout (in this case 35mm). The only part I didn’t do was not viewing for 24 hours. It taught me ‘see’ the environment and more importantly how best to use the light meter to do exposures. For editing all I was allowed to do is basic D&B and mono conversion. stuff that was readily doable in the darkroom. You should also have to pick an ISO and stick with it for all the shots. I am in for 36, thanks for the opportunity to donate to a wonderful cause. I guess I will be heading to the beach early tomorrow morning to get my shots for the day. are we allowed processing the shots at all before printing? or are we printing straight out of the camera? Another “Old School” disappears. After a few decades in business, the last of the Mom and Pop camera stores closes tomorrow in downtown Los Angeles. It was a victim of big box stores, internet sales and CA sales tax (9.75%). Though it carried all the digital cameras, printers, and modern lenses it also carried film, darkroom material, and lots of friendly “how-to’s”. So when you do this project think of your neighborhood camera store and what disappears when it isn’t there anymore. Give it some business, maybe that 16×20 print, so it can be there tomorrow. Kodachrome II sure isn’t. Which camera store do you mean? On our way to our shoot for the day, we stopped at a local brick/mortar camera store. Picked up a circular polarizer for the lens I was toting. I know I could have gotten it cheaper on line, but I like having some place where I can actually try out camera gear before buying! I still have a film camera and 400 ISO film. The local Walgreens will process the film for $10. Maybe for those of us that have both we ought to use both cameras and photograph the same thing with each and compare. Granted that is a bit more work and more cost of course. I have been following your blog and it is great. I have one question: how do we change settings if we tape the display? Are we just supposed to preset all the complicated settings and simply change the one’s on the top LCD, or do we tape that as well? Look forward to trying this out, since I had only one film camera ever before. So glad you got “The Scott Experience”! So you’ll be coming to Photoshop World, right? Yes, you need to make a photoshopworld. The one-day seminars are great. Multiply this by 100 or more and you get PSW. By the way, I will have my info to you early in the week for Texas. Took a lot of great photos in Yellowstone/Teton National Parks. Been busy writing a species list, journal, and editing photos since I got back. What a great idea! I remember the old days when photography was like that. I just got a new DSLR and I’m still getting used to it. It’ll be fun to pretend I’m using a film camera again and help a good cause too. Great challenge, Scott! I’ve included the link in a post on my FB page and my blog. If we don’t raise enough to purchase that piece of land, let us know — I’m sure there are plenty of us who would donate again to help fill the gap. Also, maybe MPIX could donate a portion of the money generated from this challenge to the orphanage as well. Done and the weather was great here in Malmö – Sweden! Ok… great idea and love the photo challenge BUT, why is it that we are supporting a cause halfway around the world? I’m not discounting the fact that it’s a great cause and they can use all the help BUT for God sake, their countless people/children is serious need of help right here in our own backyard. Again, I don’t mean to be a “debbie downer” but we live in this country, and it’s allow you the opportunity to become the success you are, shouldn’t you be giving back/supporting people/kids in need here? Perhaps its just not as fashionable/trendy enough of a cause. Just a thought for the next go around of charity work. I completely agree with your sentiment that generosity should begin at home. However, this isn’t a “nationally” sponsored drive, it’s not even a NAPP initiative. This is a personal project of Scott Kelby. He has personally decided that this is a cause worth supporting and has asked his blog readers for help. In return he occasionally runs some contest or give-away to garner reader involvement. This is no different that you or I participating in a Breast Cancer walk and asking friends for sponsorship. I’m more concerned with this type of international aid when it comes from our government. We (the US) give Billions in tax payer’s dollars annually supporting every possible cause. In the past century the US Tax Payer has rebuilt Western Europe, Japan, major portions of Africa, and the Middle East. When Katrina hit the gulf coast, did you see France or Germany rushing in with aid? Annually, the mid-west sustains massive damage from floods and tornadoes, have you ever heard of China sending in aid workers to help the victims? No. Yet neither you, nor I are asked by our leaders if we agree to send OUR money to help others around the world. Scott isn’t demanding anything here. He’s simply saying “Hey, I have this good cause, and If you agree with me, help where you can. If not, no hard feelings.” (Of course I’m paraphrasing here)…. We don’t all live in your country Erick. BTW, not sure if you’ve noticed, but your lack of class is showing. I recall someone said exactly this same thing the last time Scott did a fund raising effort for the same cause. Was it you? You could start your own drive for the causes you think are so much better, couldn’t you? Let us know when you do and maybe we’ll help. Absolutely awesome! Two ways to win, and not even any prizes involved. The nostalgia is worth the participation, plus you get to help kids. Thanks Scott for making me feel all warm and fuzzy on a rainy morning. I’ve got my 24 shots, but they show people and I am concerned about putting them on the Internet. Good exercise for me, though. That was fun. Not sure if it’s cheating or not, but I couldn’t change my aperture without looking at my LCD. I never chimped though. Sweet – just a couple of hours left. Can’t wait to see the result, probably not the best pictures that I’ve taken overall but still exiteing to see the end result. Great cause Scott and a great way to get us involved, unfortunately some came up and I couldn’t participate, nevertheless I will be sending in my contribution. I don’t have the time to complete this challenge this weekend, but I think it’s a great exercise. AND, such a clever way to help raise money for a charity you care about. Kudos to you! I just made a donation. Good luck and I hope lots of people participate! I’ve just purchased an old Nikon SLR (for old times sake) so this is a great challenge. I havent shot film in over 10 years. Decided to shoot the whole roll at aperture F2 on an early winters day here in New Zealand. A great cause too, donation made but film not yet developed! Cheers. This made me cry inside a little when I finally looked at the shots. OUCH! some of them were so poorly exposed. I think I need to go back to metering school. So in all it was positive because it really highlighted the slack (lazy) things I do as a shooter and where Im not moving forward. photos are posted and printed and linked to the flickr group.i had some okay shots but many more not so okay. my only regret is that i did not shoot in b/w. for kicks, i went back and converted some of the shots and was much happier with them in black and white ( which is what i shot almost exclusively back in the film days). Sorry that I headed out for the weekend early and missed your blog challenge. It would have been fun to remember those days, but you had it easy. I picked up my first manual SLR in 1971 when I was serving aboard a US Navy Destroyer off the coast of Vietnam. We would take lots of pictures, then have to wait 30-45 days before the ship was back in port to get them exposed before we could see what we had done. I remember an awful lot of disappointing photos when we would see a ship on the horizon, go get our 35mm film cameras with our 55mm lens, and shoot rolls of pictures. It was sometimes the only sign of life other than aboard our little destroyer. Most of the times when we would get our pictures back there would be 1/2 a frame of ocean, 1/2 a frame of sky, and one little, tiny dot on the horizon that could not be identified as anything other than a dust spot. ~and yes. I will try to visit this blog more regularly.